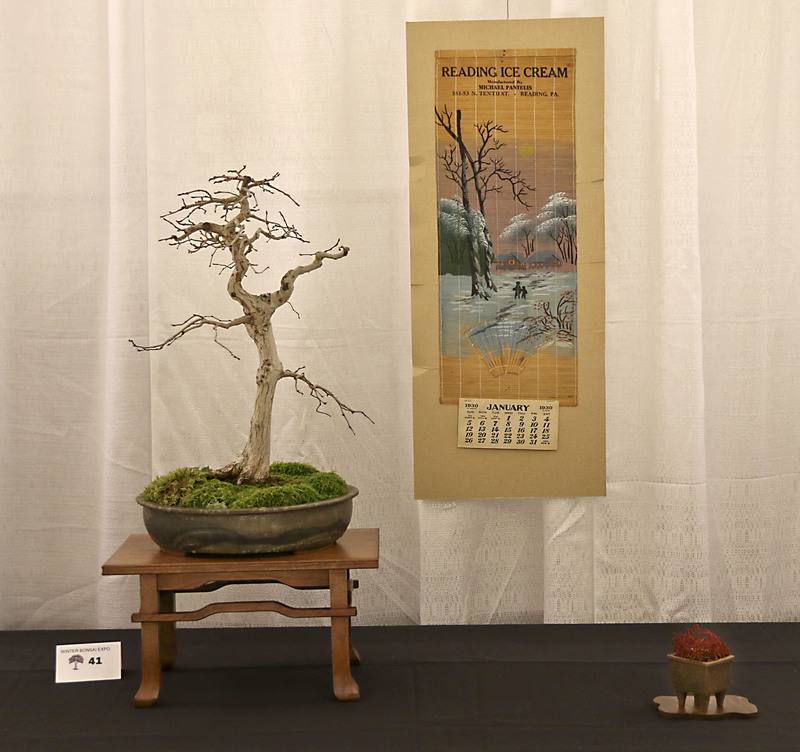 Several hundred visitors traveled to the North Carolina Research Campus, near Charlotte, North Carolina, from across the east coast and Midwest, (one couple flew in from southern Indiana only to attend the event), to appreciate beautiful bonsai during the dormant season when the trunk, branches, twigs and buds of deciduous bonsai are best viewed. 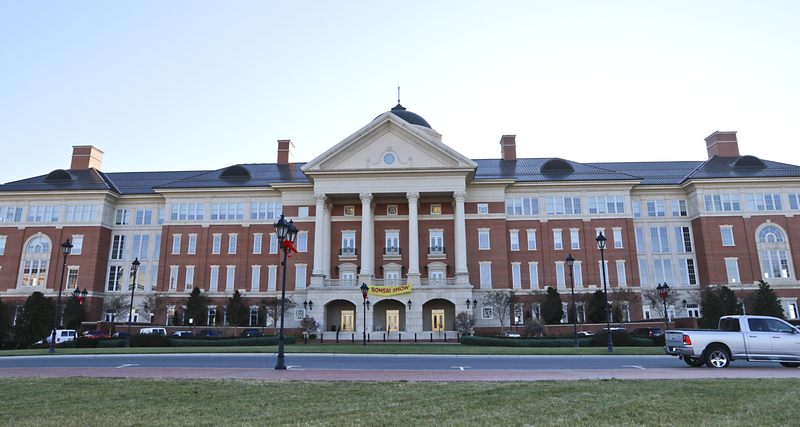 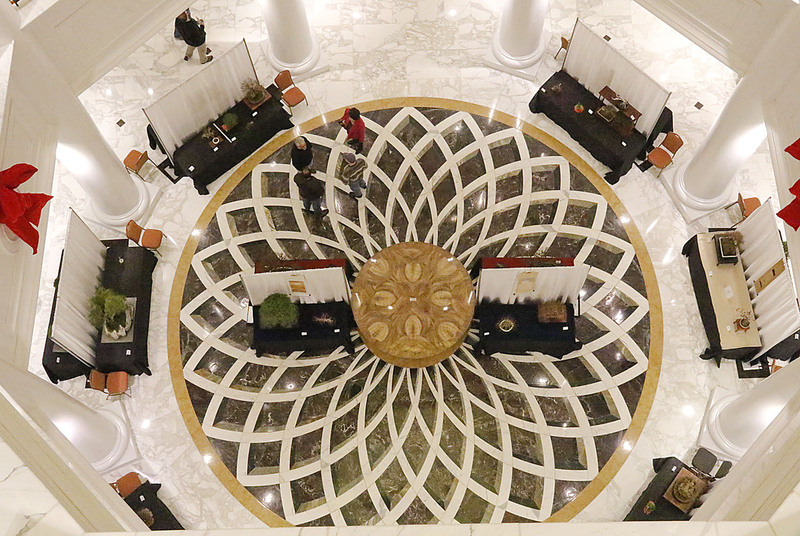 The event was held in the David H. Murdock Center, a four story building with a rotunda that provided a most unusual and elegant atmosphere for this exhibition, which is increasing in popularity. 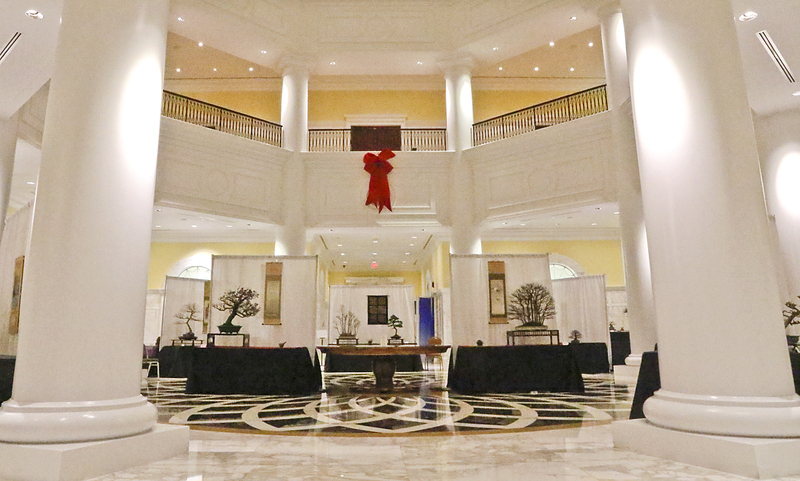 The walls, floor and pillars are all made of Italian marble, the same used by Michelangelo for his “David” sculpture. 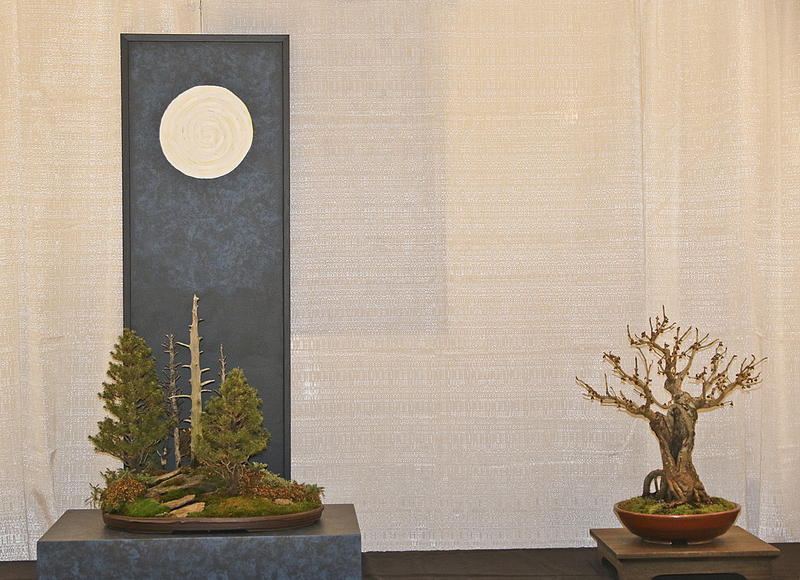 The lighting was excellent because of the light colored walls and floor featuring a geometric pattern. 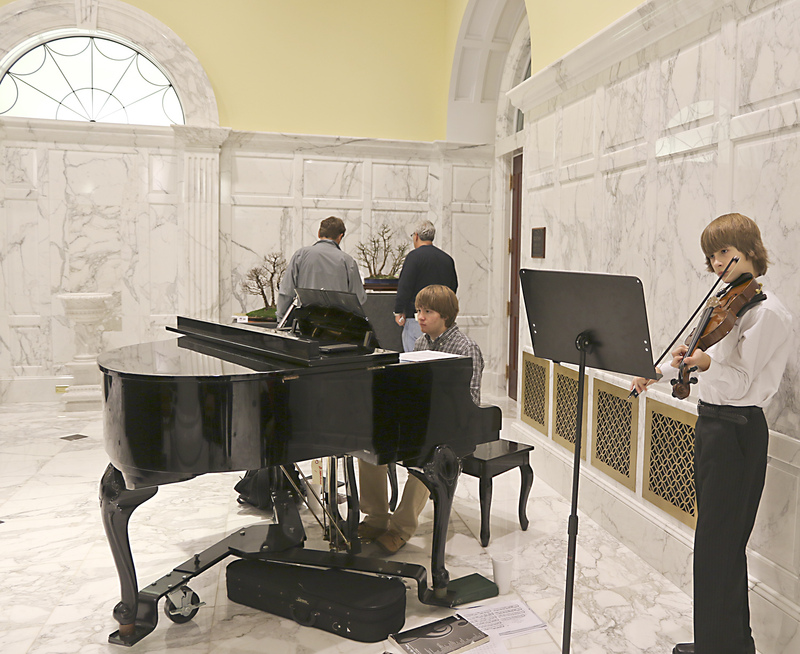 To provide a different element to an already unique exhibition was the return of two young brothers playing classical Xmas songs on a baby grand piano and violin, sometime accompanied by a cellist. 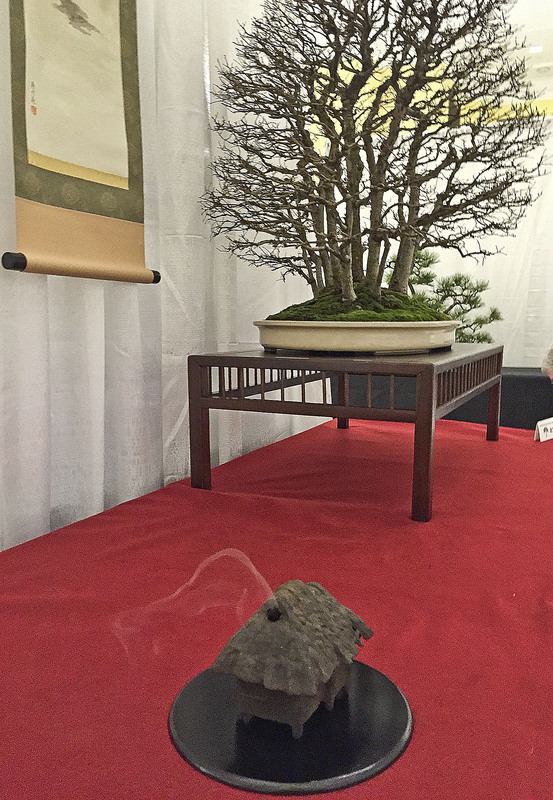 The background music was delightful as well as the faint scent of Xmas incense emanating from an antique bronze incense burner displayed next to a Chinese elm forest. 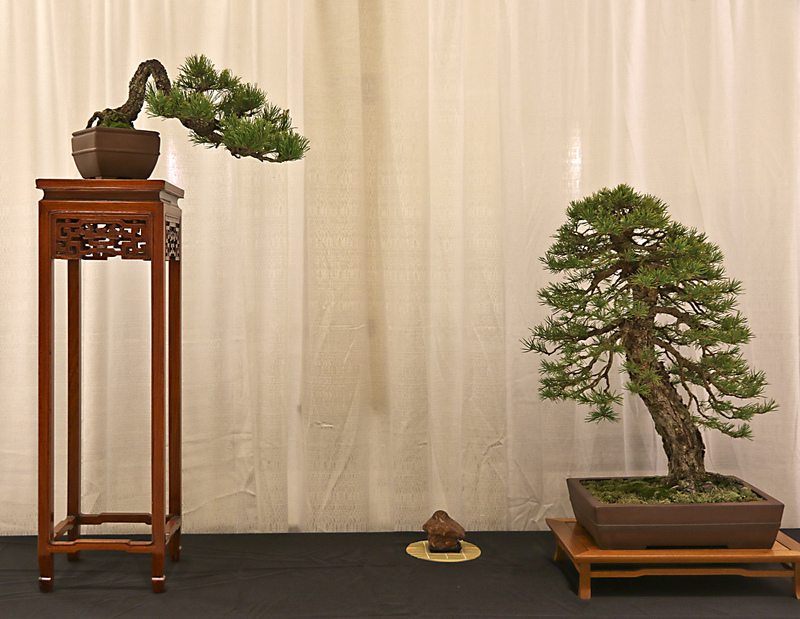 Owen Reich from Tennessee presented a program on Pitch Pine Bonsai on Sunday afternoon and I gave a program on Chinese Quince Bonsai on Saturday afternoon as well as a critique on Sunday morning. 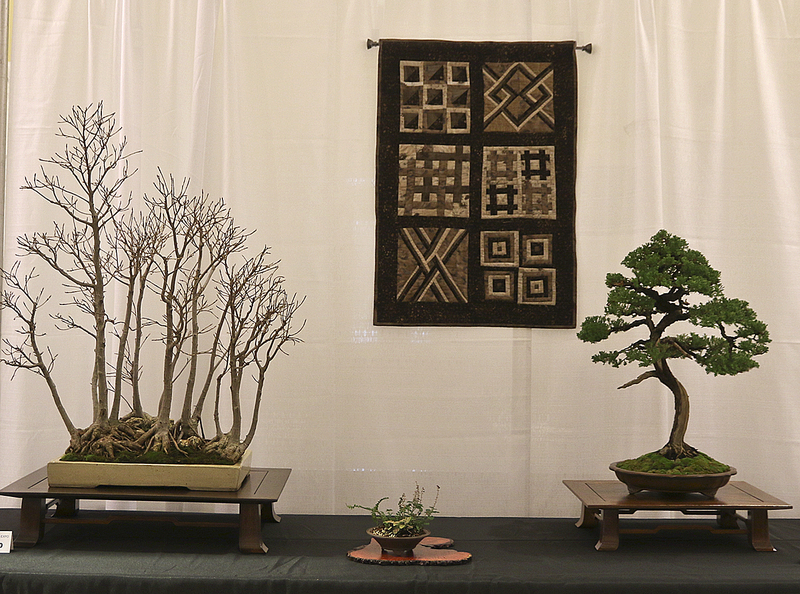 People brought some of their finest bonsai from Florida, North Carolina, South Carolina, Virginia, Tennessee, Georgia and New York. 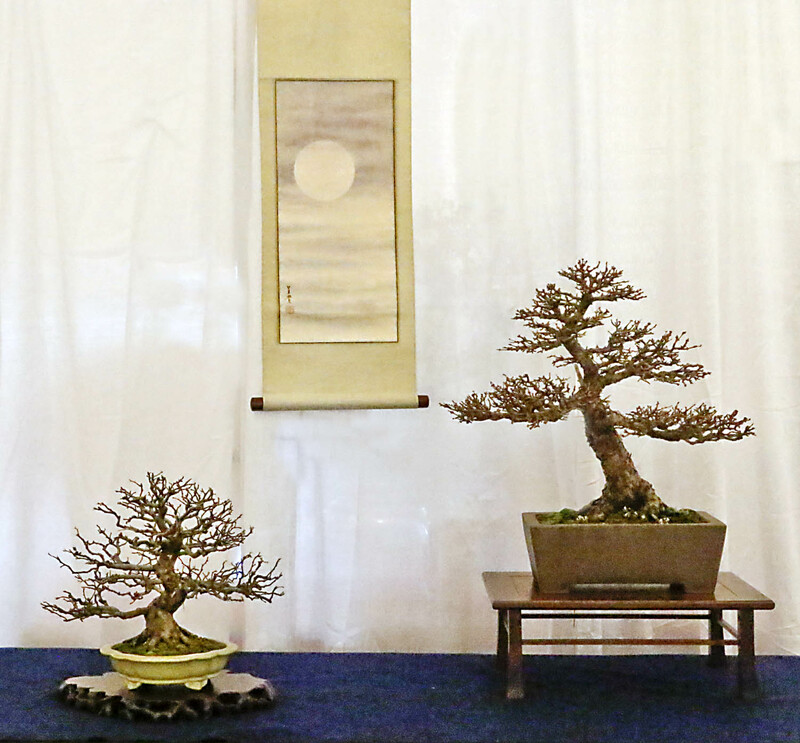 The Winter Silhouette Bonsai Expo encourages the formal display of bonsai and is not a local bonsai show where all members are encouraged to display a bonsai. 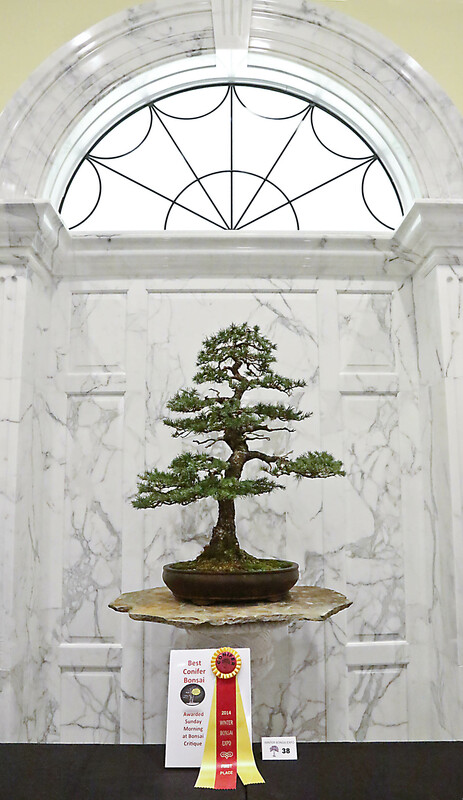 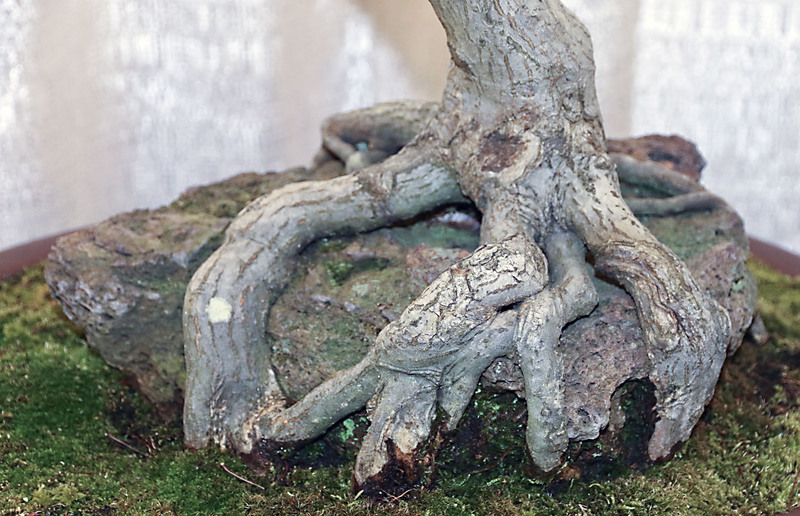 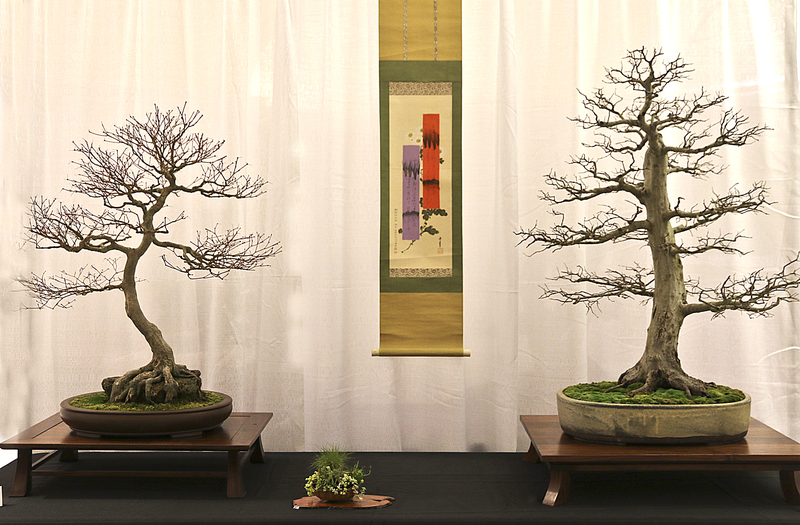 The bonsai and displays were superior to those displayed last year because exhibitors saw the high quality and the formal venue for displaying their finest specimens. 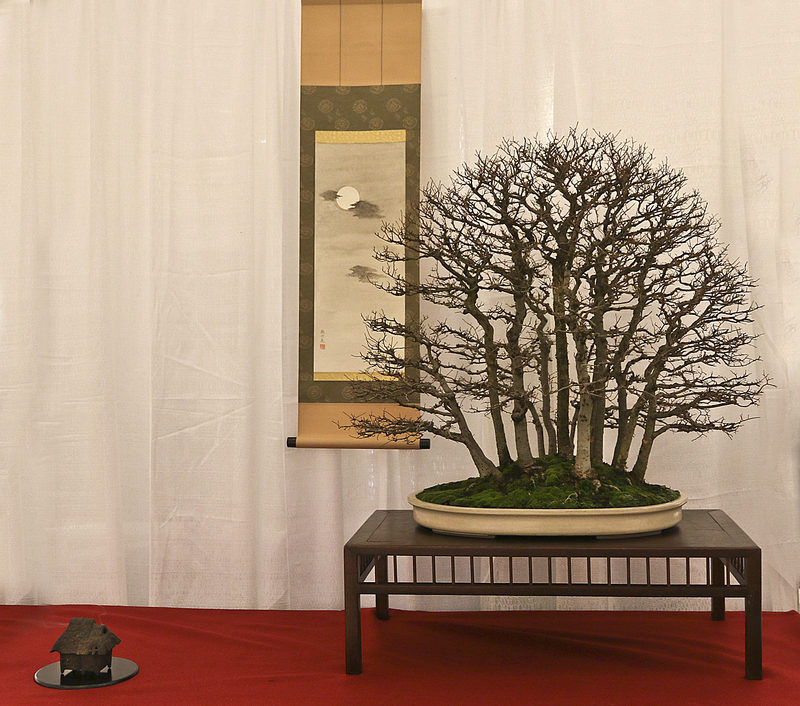 They all took pride in their bonsai and displays, which was quite evident in the mossing, table selection, accessories as well as meticulous bonsai preparation. 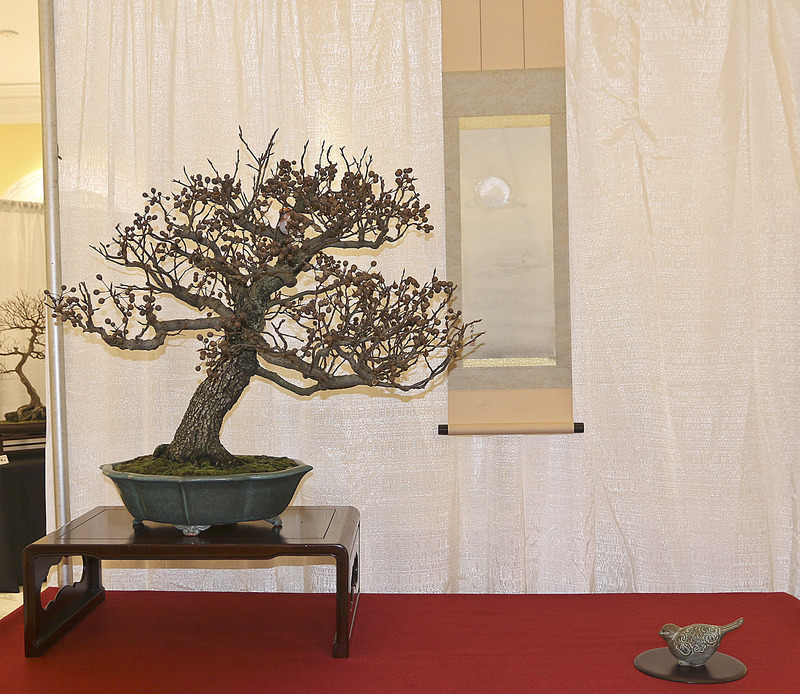 Most displays were not crowded and allowed visitors to fully appreciate the bonsai, as well as the arrangement of bonsai, accessories and sometime hanging scrolls. 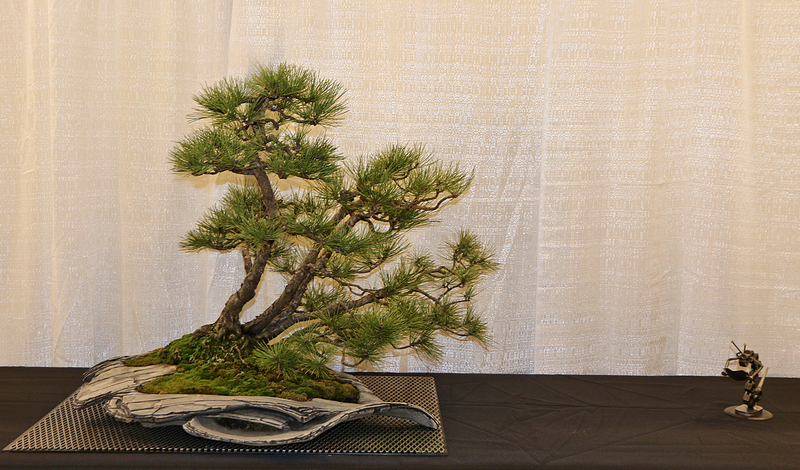 It would be boring to see an exhibit of only bare deciduous bonsai so a few evergreens were included to provide interest. 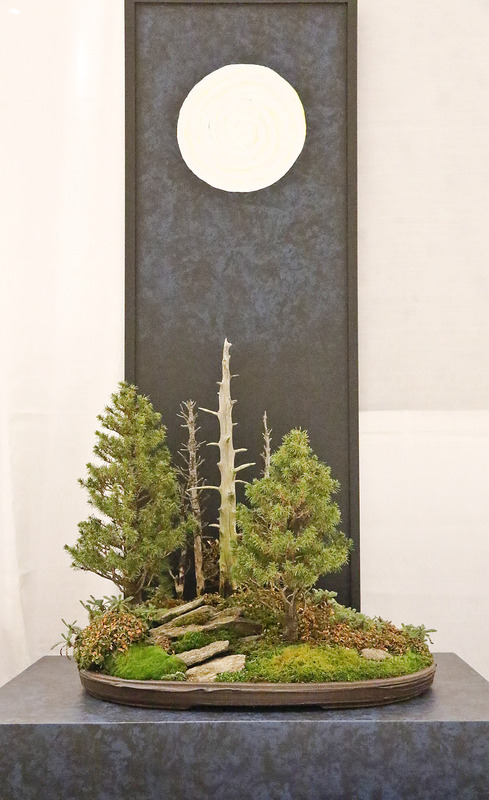 Some of the evergreens showed their winter coloring in keeping with the theme of the exhibition. 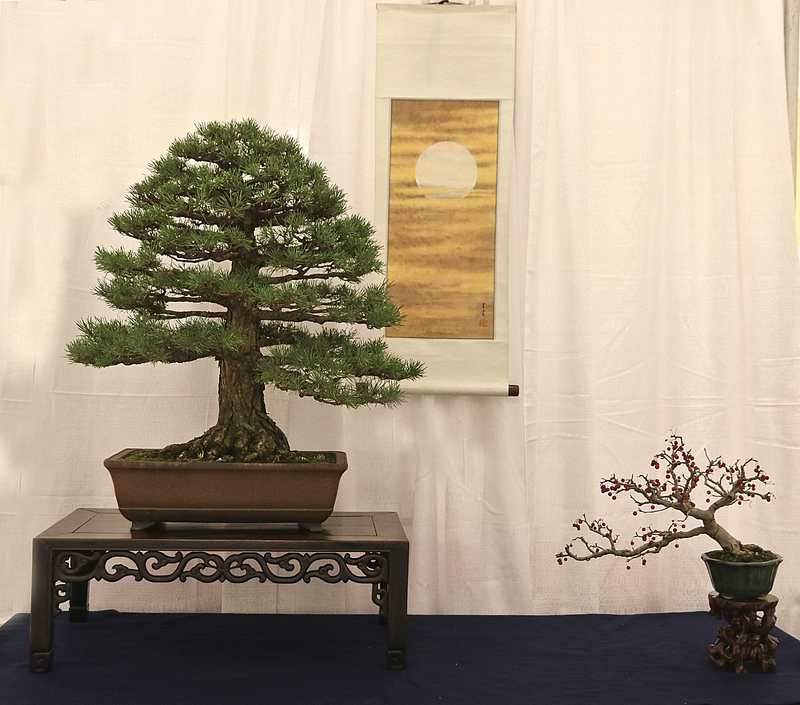 Three awards were presented: Best Silhouette, Best Evergreen and Best Fruiting Bonsai. 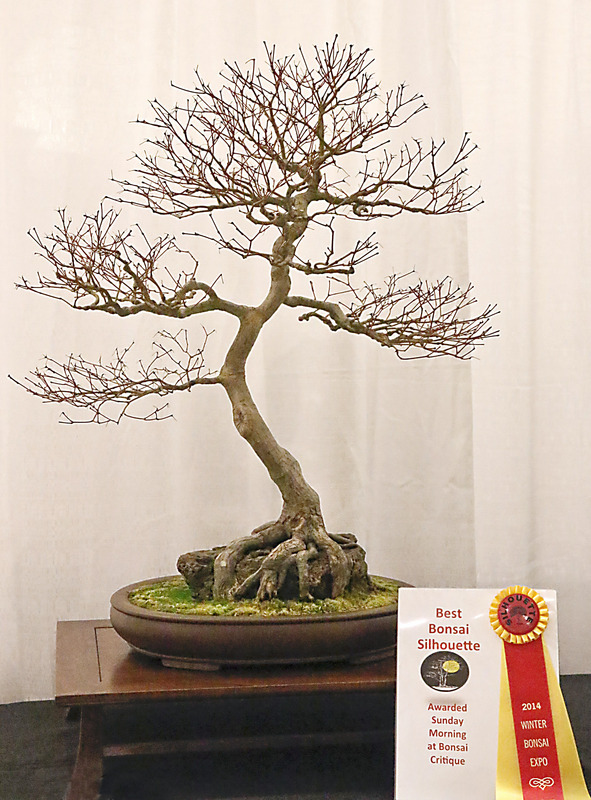 The public selected a People’s Choice Award as well. 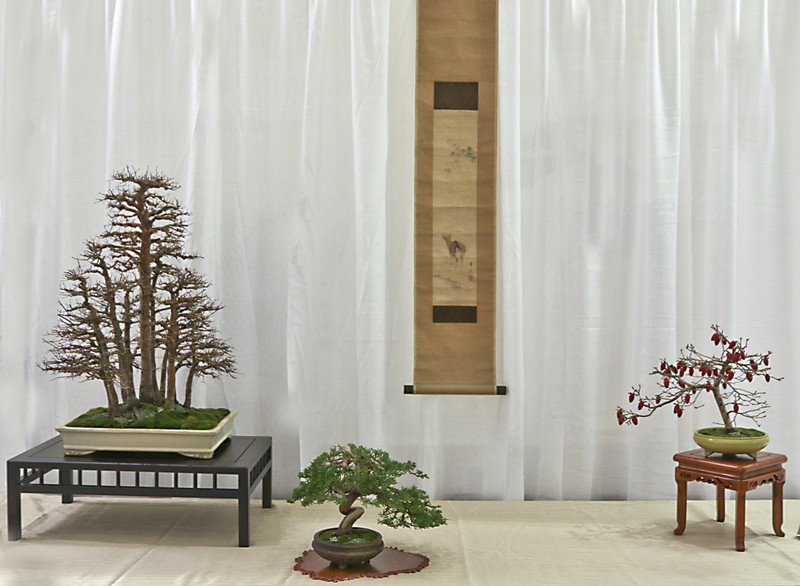 Joseph Noga, one of the foremost bonsai photographers in the United States, from Winterville, North Carolina, traveled to the event hauling a trailer full of lights, backgrounds computer and other equipment necessary to capture the beauty of each bonsai in formal portrait photographs. 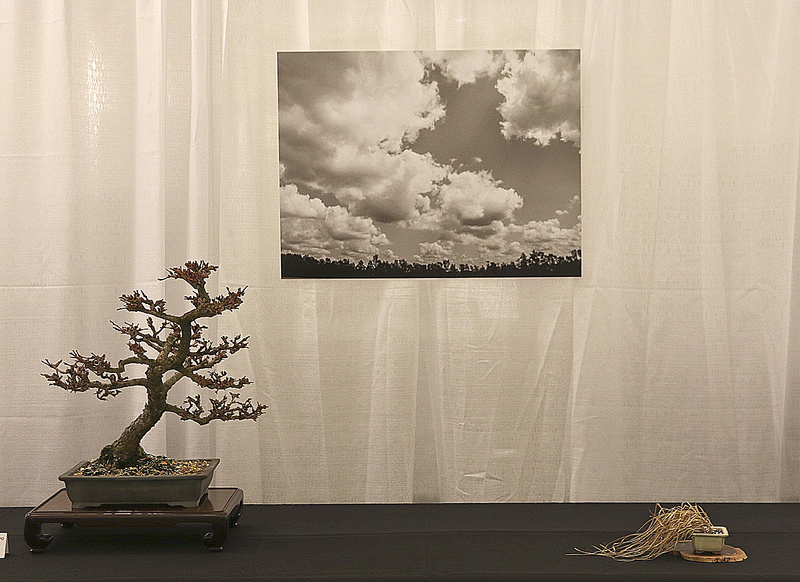 An entire day was spent photographing each of the sixty odd bonsai. 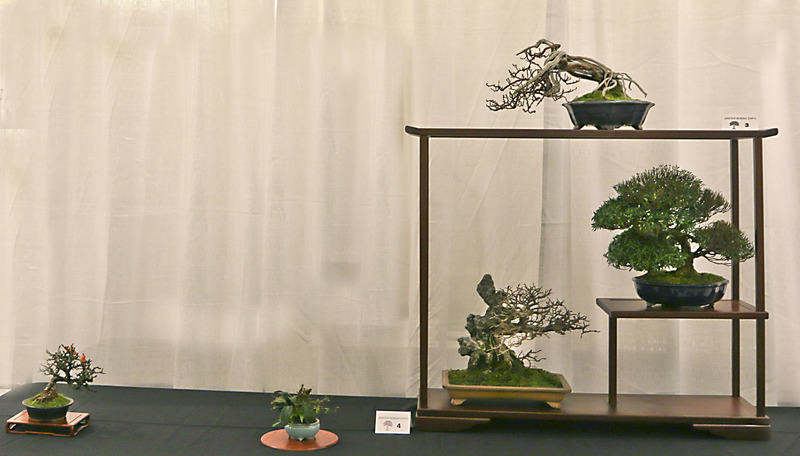 Rather than showing my photos of individual bonsai, only bonsai displays are included in this posting because Joe was unable to do both. 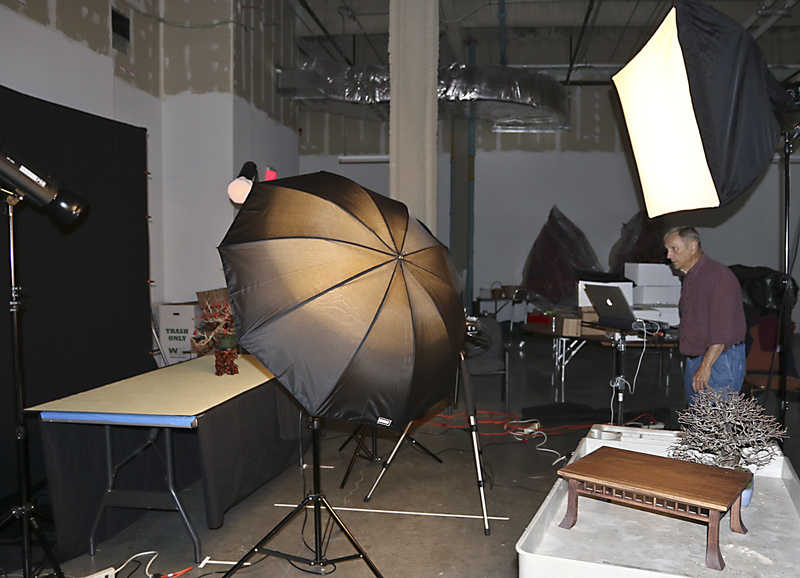 Joe’s formal portraits will be featured in Part 2 coming soon when he completes adjusting the photos for perfect color balance. 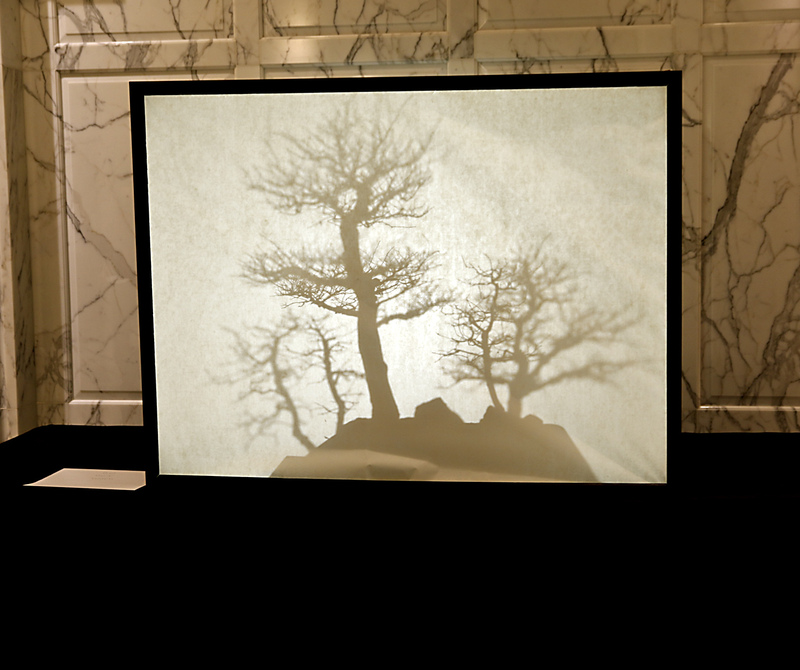 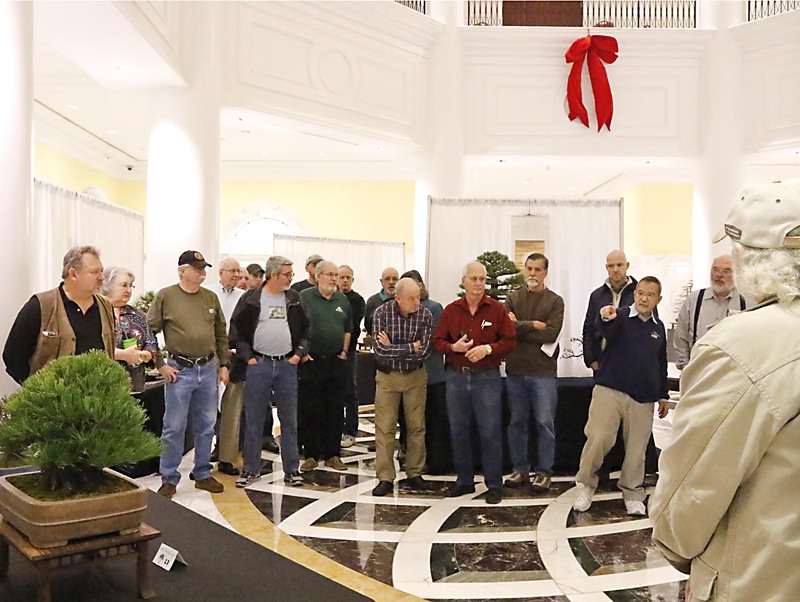 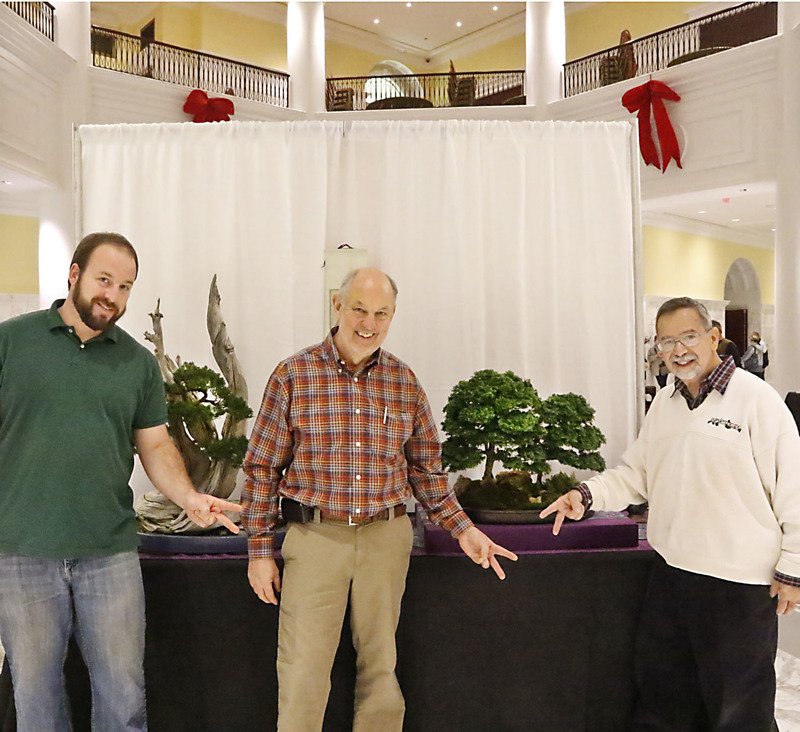 I was honored to participate and work with Steve Zeisel in this year’s Winter Silhouette Bonsai Expo and congratulate him for another stellar event. 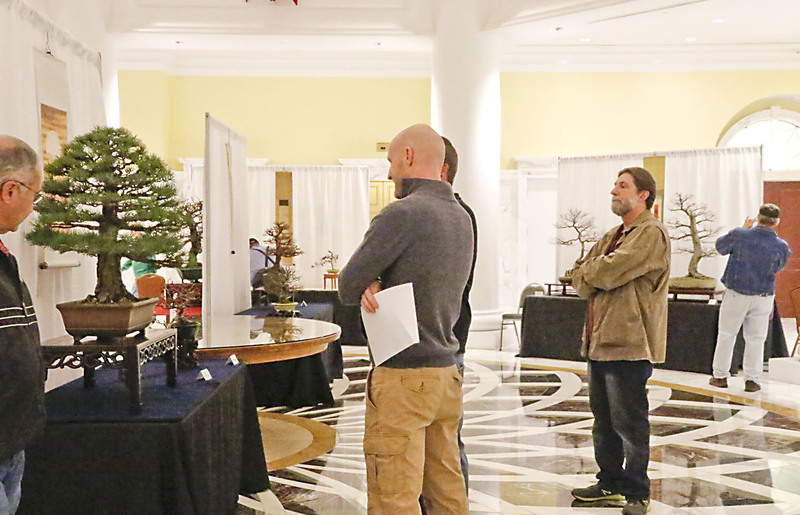 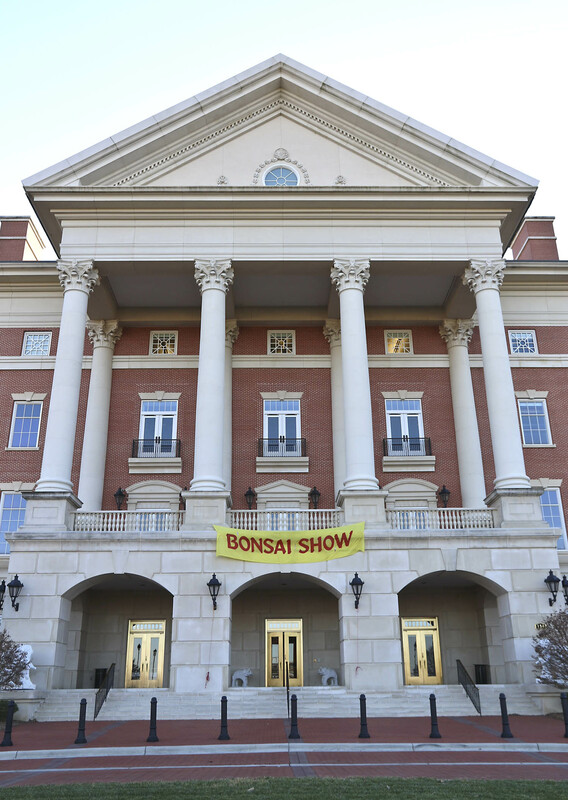 His vision and taste, combined with the support of bonsai hobbyists and professionals, in a unique venue is providing the bonsai community with another major event for appreciating and learning about bonsai during the dormant season. 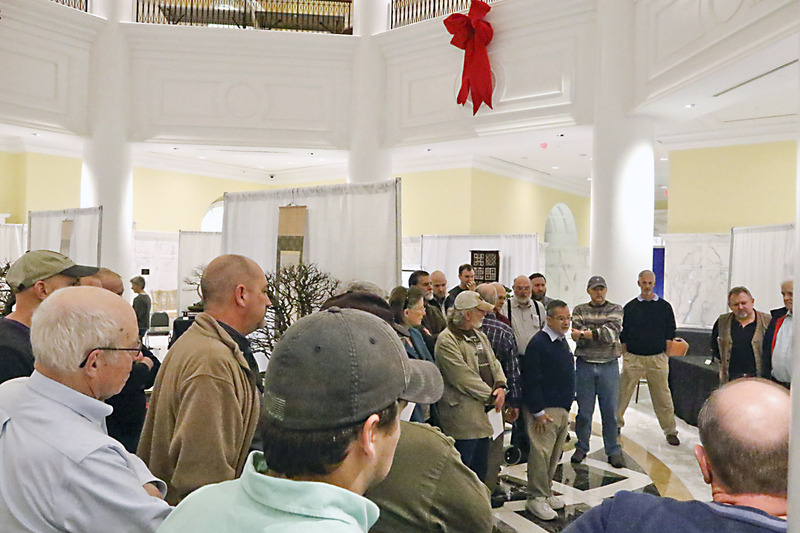 I look forward to next year’s event on December 5-6, 2015. 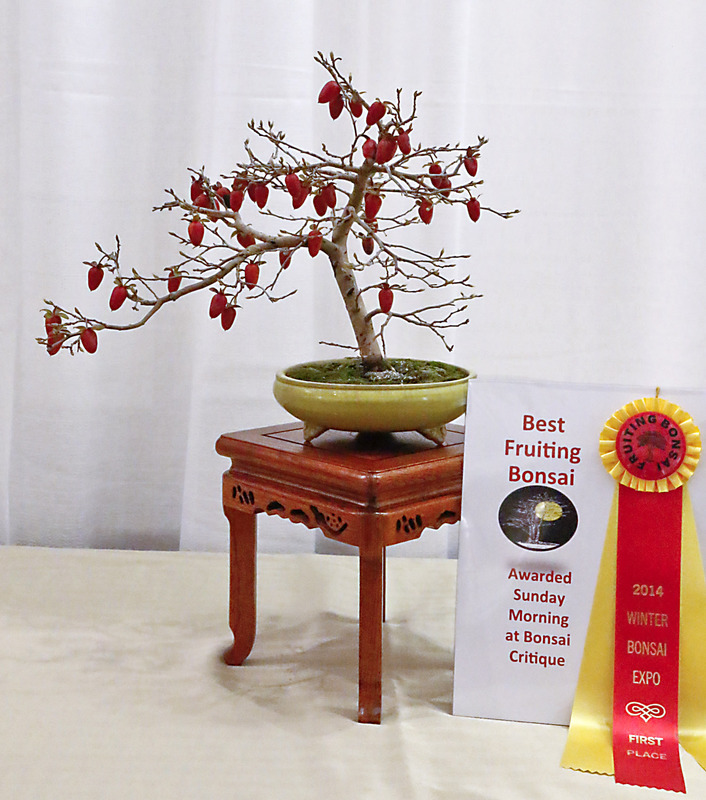 Mark you calendars now, and even better, begin to prepare a bonsai for sharing with others.